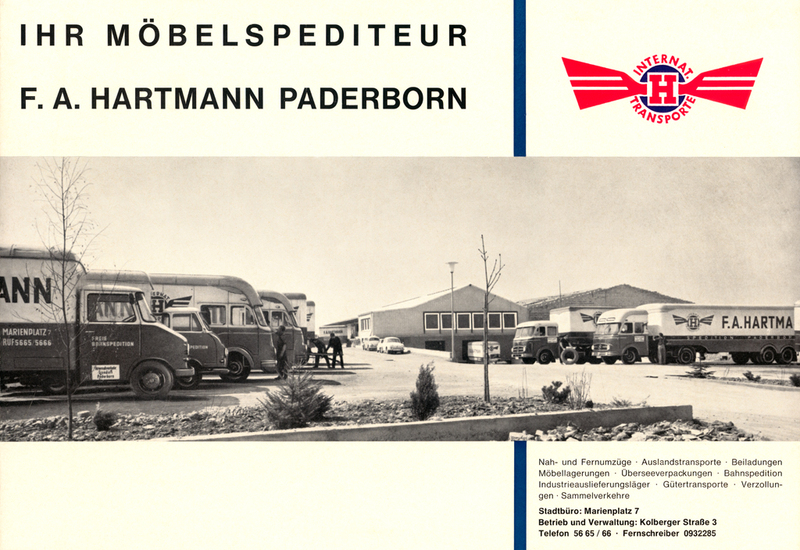 In 1856, Josef Anton Hartmann appeared for the first time in the industrial roll of the city of Paderborn with his business “Colonialwarenhandel und Spedition” (Colonial Merchandise Trade and Forwarding), thus laying the first milestone in the company’s history. 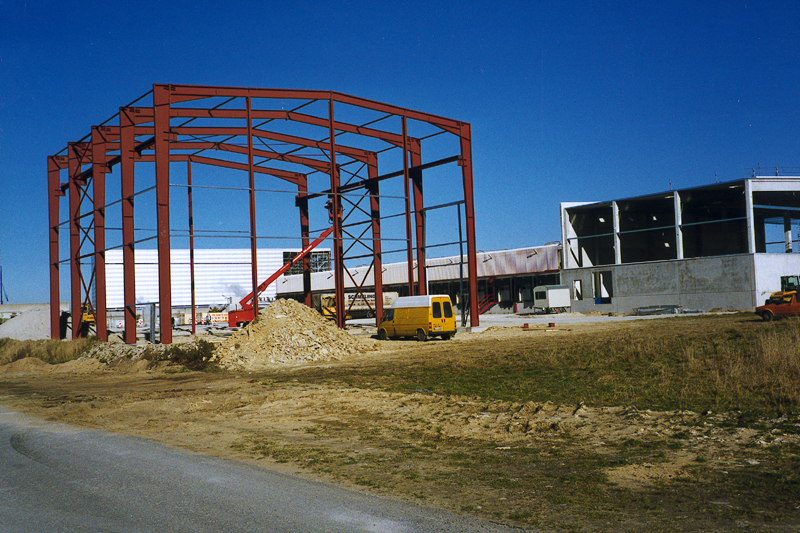 Since then, the company has continuously developed in a dynamic and innovative manner over the course of six generations and is still in family hands today. 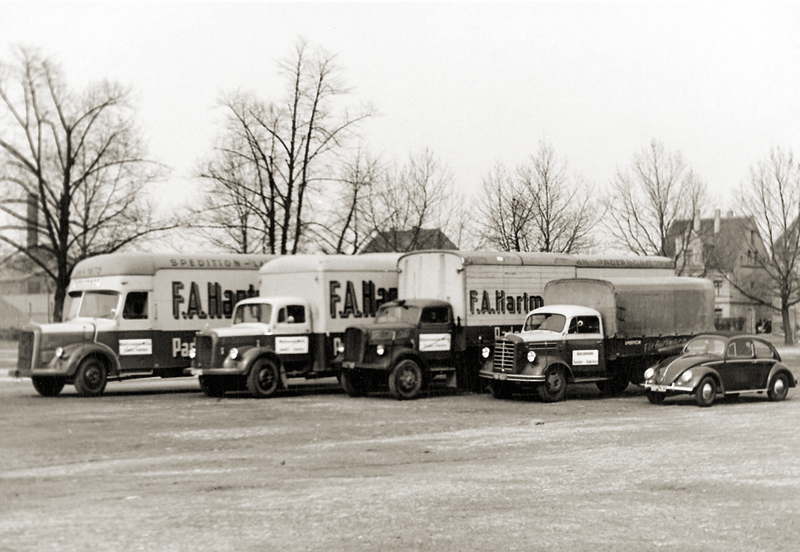 Following on from early transport sharing for Paderborn traders, in the second generation Franz Anton Hartmann gradually developed a professional and well-renowned forwarding company. 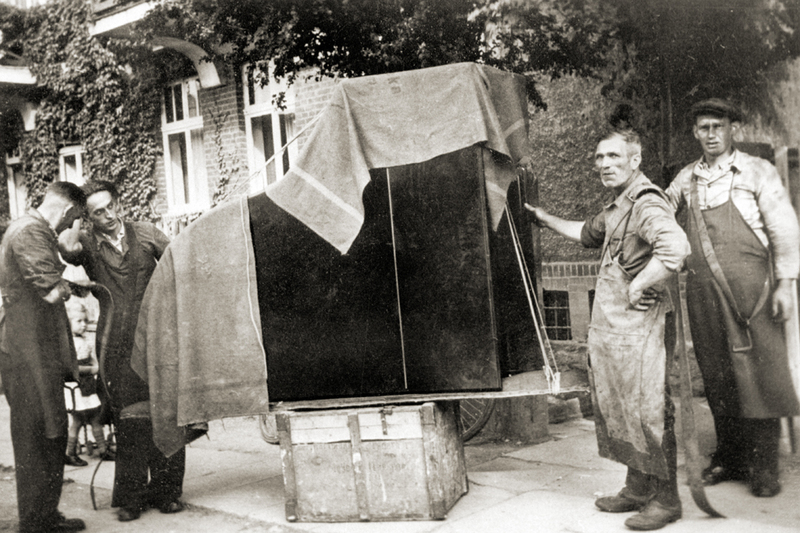 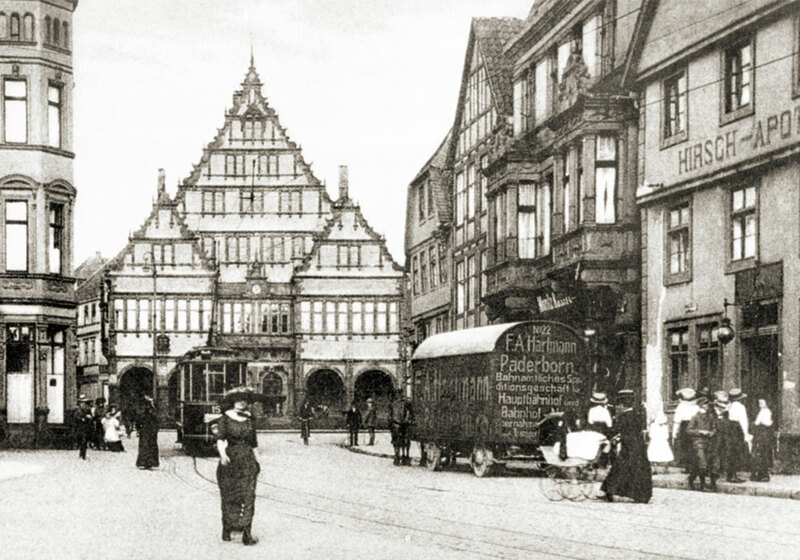 Their range of operations expanded quickly throughout the East Westphalia region and were soon followed by the first journeys to the Leipzig trade fair and transportation for the Paderborn mercantile community. 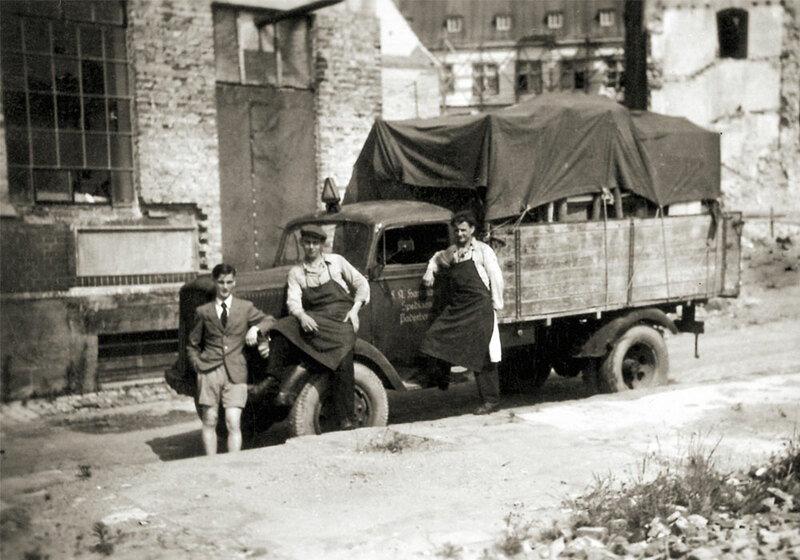 In 1875, Andreas Hartmann took over management of the forwarding business and was replaced by Carl Hartmann in 1914. 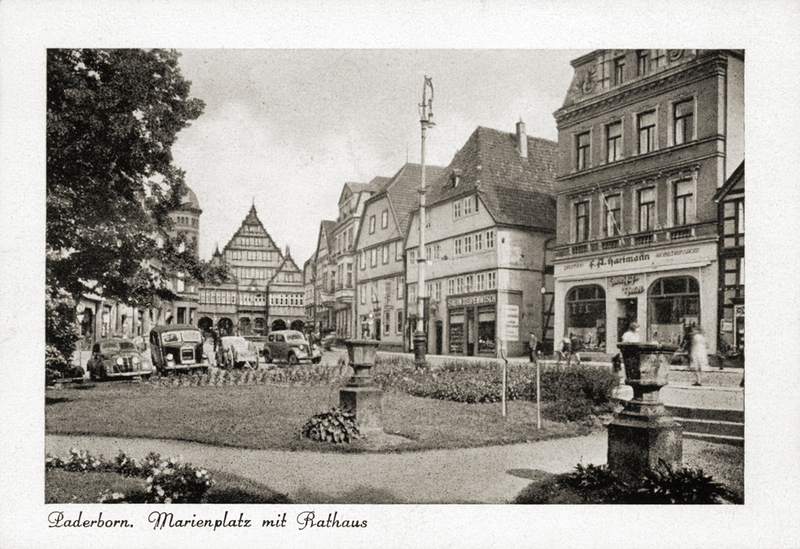 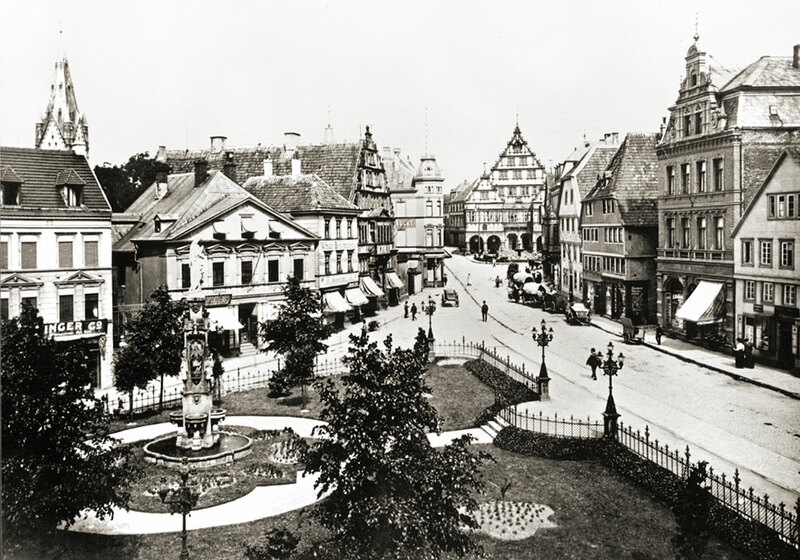 For over 100 years, up until 1960, the company’s head office was located right at Marienplatz in the very heart of Paderborn. 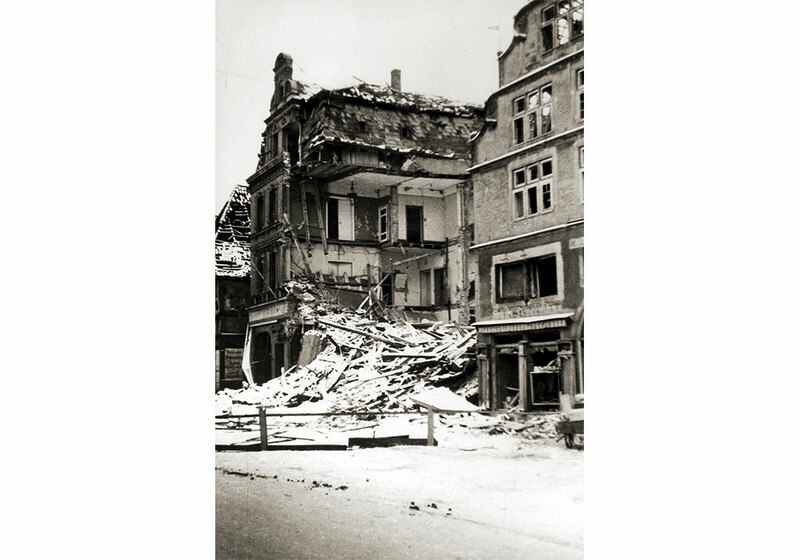 Carl Hartmann led his company through two world wars with numerous setbacks. 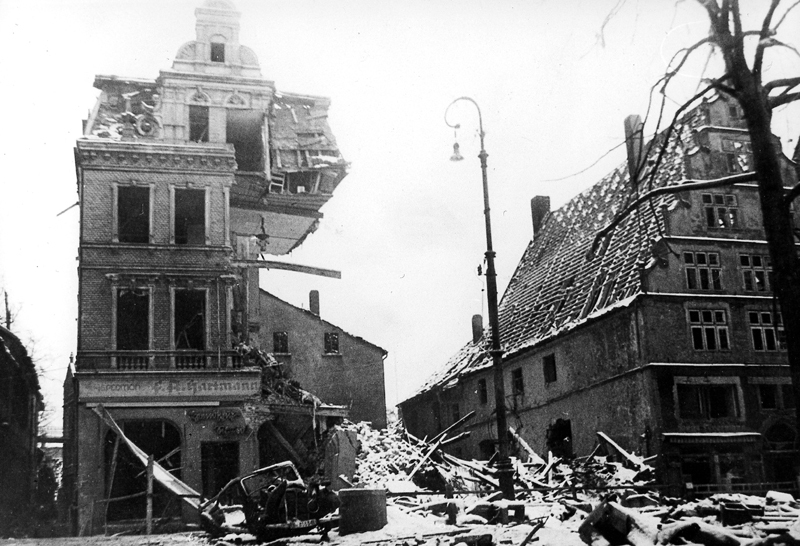 In early 1945, both the building and the entire fleet of vehicles were reduced to rubble, not even the teams of horses survived the bombardments. 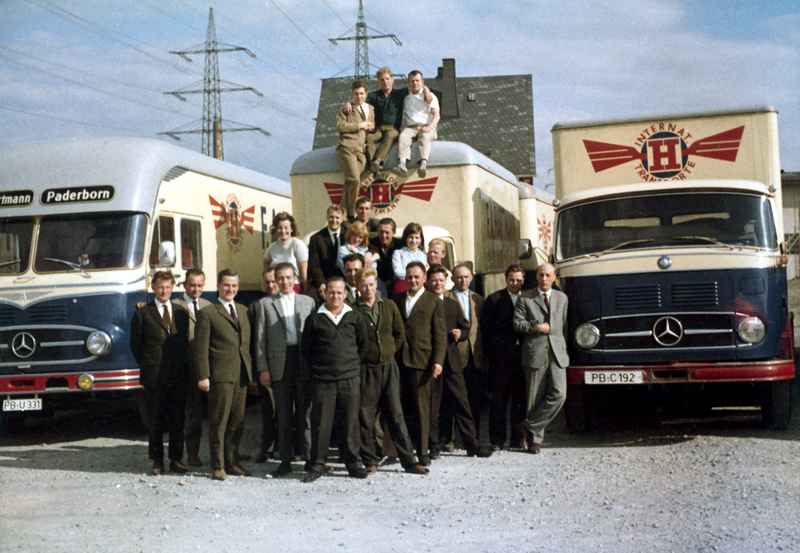 And so it was that in 1956, Carl’s son Rolf Hartmann found himself facing the task of almost completely rebuilding the company which had now been in existence for 100 years. 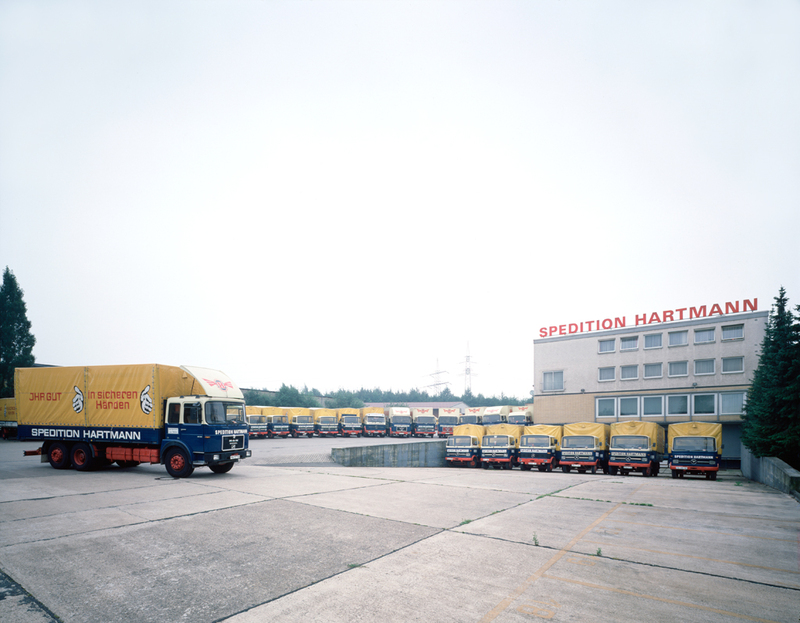 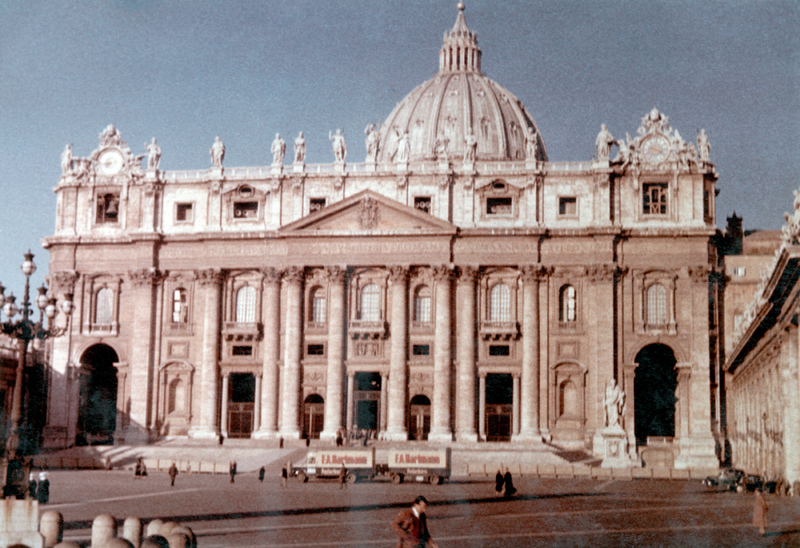 In just a short time and with plenty of hard work, Rolf Hartmann made a successful comeback, such that a good 10 years later, the first international shipments were made to Rome. 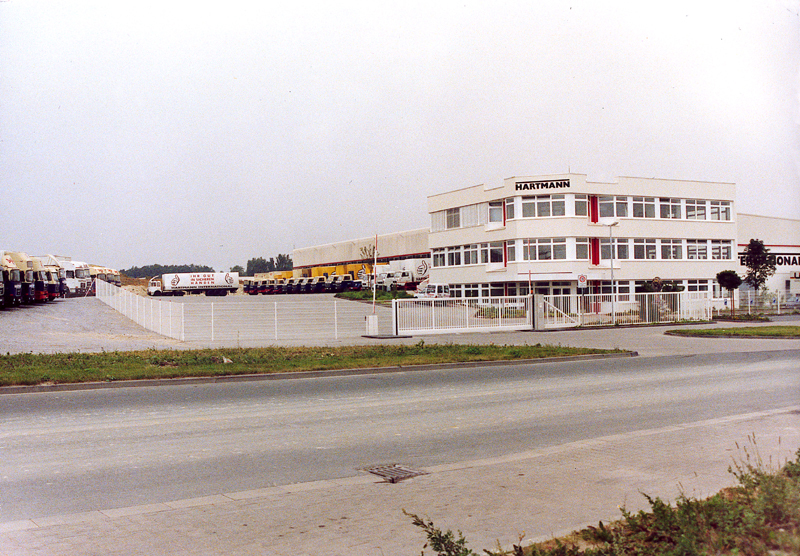 Together with his wife Christa, who was in charge of the company’s marketing, he developed the catchphrase “In safe hands for a safe move” in the early 1970s, which later influenced the slogan “Your goods in safe hands” and is still firmly anchored in the company’s philosophy today. 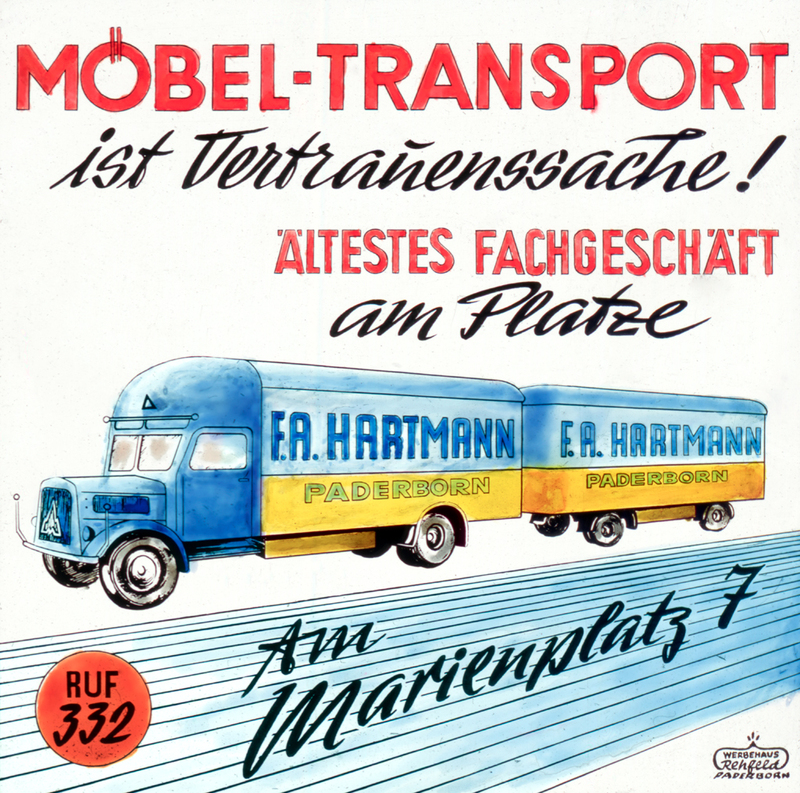 Due to space constraints, the Hartmann team moved from Marienplatz to Kolberger Strasse in 1961. 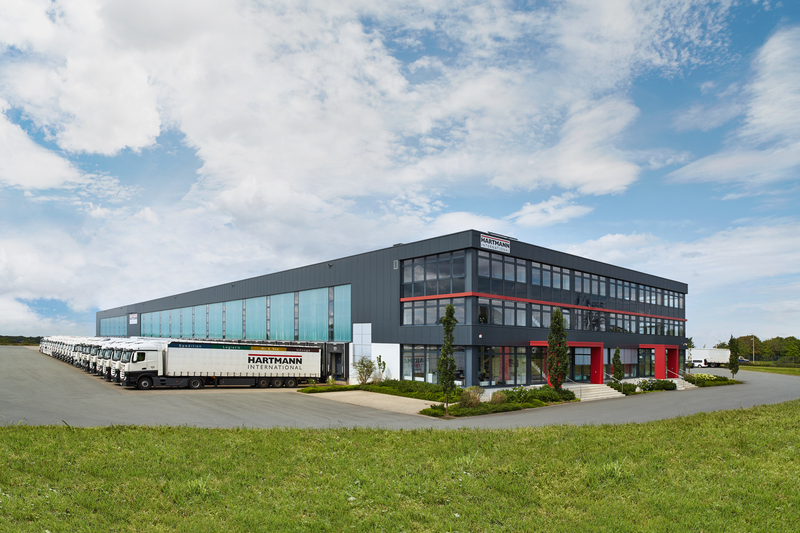 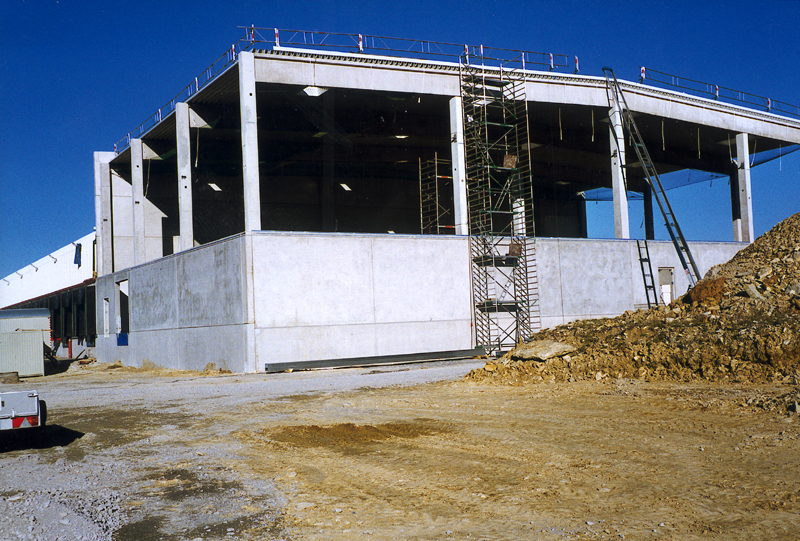 Another 30 years later, the by now internationally-operating forwarding company moved its headquarters to its current site on Halberstädter Strasse in Paderborn-Mönkeloh’s industrial estate. 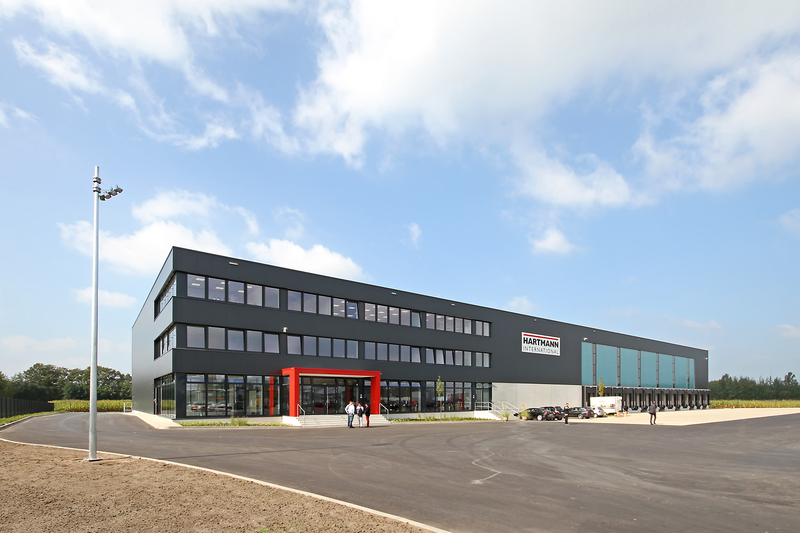 Typical locational advantages such as direct access to the motorway and the extensive grounds with a modern, functional building have played their part in the success of the company’s recent history. 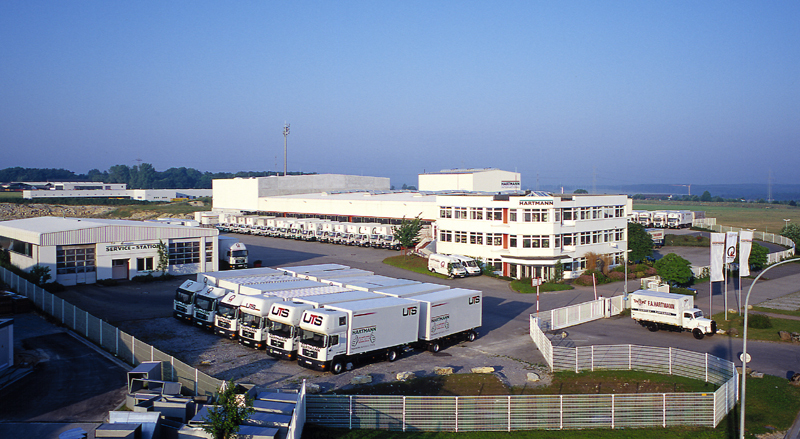 At the turn of the millennium, Rolf Hartmann placed the leadership of the company in the hands of his son Andreas. 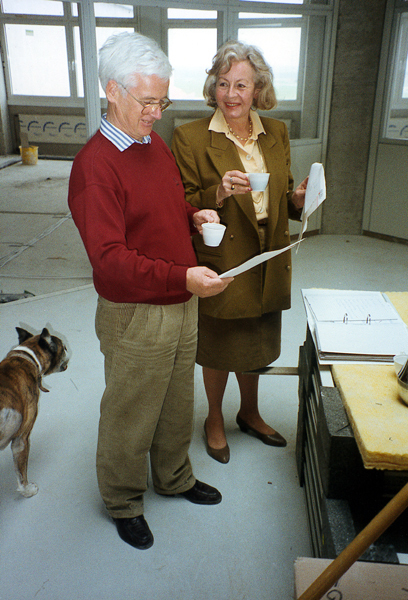 His daughter Sabine was named COO of the Moving Services division. 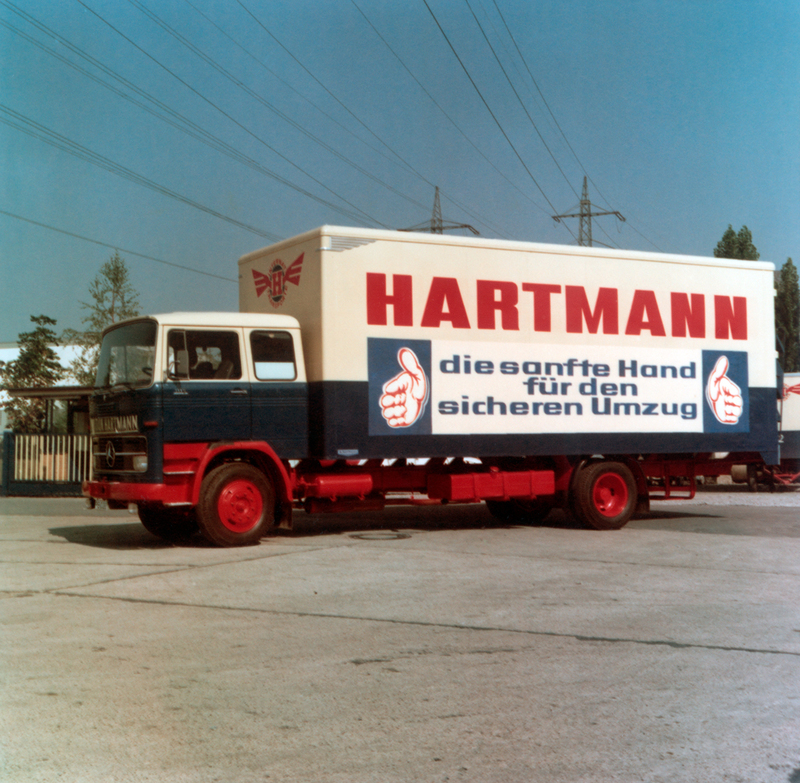 The Hartmann family is thus the model of success for creating a smooth transition into the sixth generation of family business.